Oh my goodness, who threw in the grenade? Packing is almost complete, just the extended delivery stuff to do when the last bits are delivered to us next week. Time for a tidy up now I think… Anyway enough of that I’ve mentally moved on! Rehearsals start tomorrow for the little mans showcase at his acting school and I’m in the costume department all week, I did it last year too, it was such an honour to watch the kids grow in confidence and develop their skills through the week. Don’t think for one minute its on the lines of a school play, these are kids who are used to being on the stage and screen so the standard is through the roof before we begin; I can’t wait. In the meantime do you want a sneaky peek at some of the projects that are in their final stages before going on TV next month, 29th June. 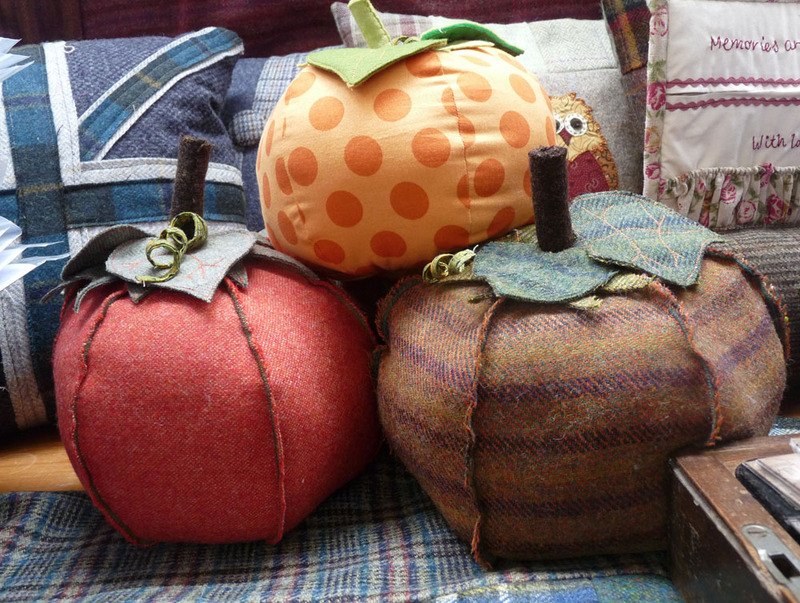 They will all be winging their way to Hochanda in the next few days for photography; no prizes for noticing that we have jumped a couple of seasons! If you have any suggestions of new projects that you would like us to put together leave me a comment and we’ll do our best. Who threw the grenade in? I wanted some sugar mice to dot around my show stand at exhibitions and this is what happend when I left Sue on the own for a bit. The nutcracker needs a face and then it is all done. These little beauties would be lovely at any time of the year. Baptism of fire for our newest recruit Roberta, this is what she put together on her first day so I think its safe to say we can expect good things to come from her. Just a little embroidery to complete it. Hi everyone, I hope you are you all snuggled up by the fire on this cold, dark, rainy evening. 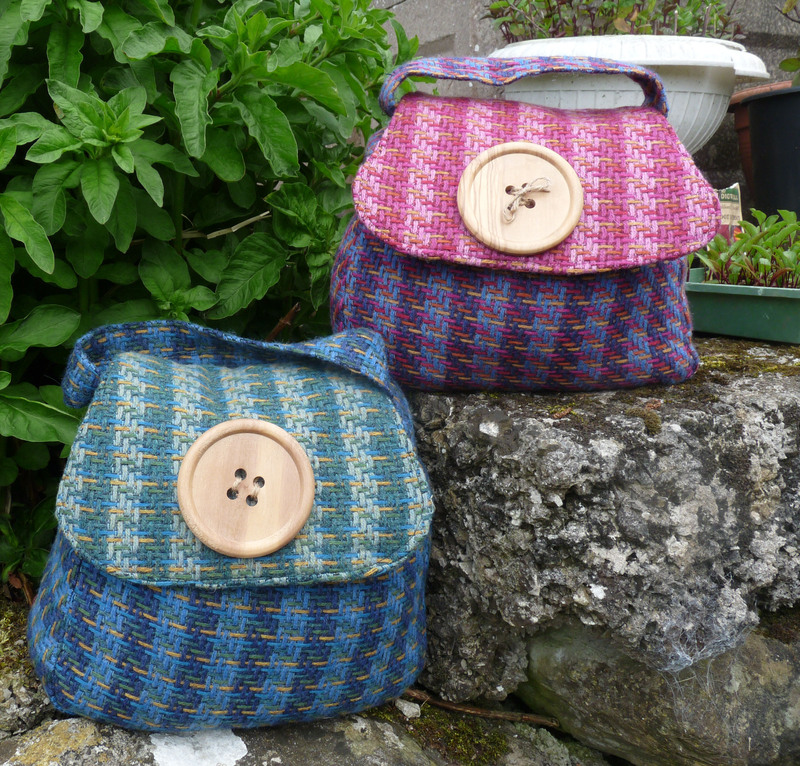 I added this pattern and kit to the website today. Which made me think about all the ones that I haven’t shared lately, we have been very busy creating new designs throughout the autumn show season and I haven’t shown off our goodies for a while so this is a purely bragging post. 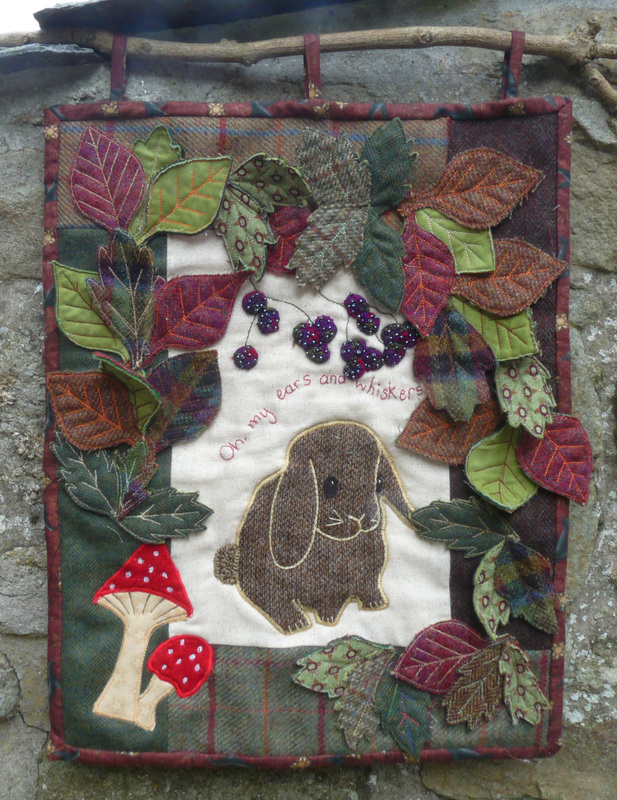 used on her awesome Holly and the Ivy wreath and the bunny is modelled on our very own French Lop Bruce. Bunny in the Brambles arrived as a fully completed project but when I came home and described it to Sue she got to work and tweaked it into what we have today. The blackberries were made using advice from Michaela on simple stumpwork so the whole thing is a real team collaboration. Each person who contributed has added a little bit of magic to this wall hanging including my mother in law who disposed of the tatty old sticks I left by my back door thinking they were rubbish as it meant I had to source a new stick and I love the new one I found. 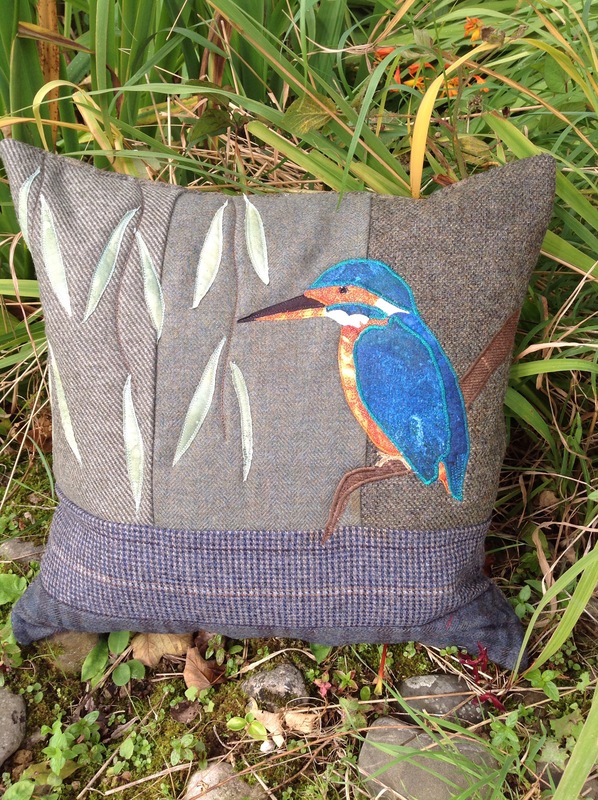 Do you remember that I shared my lovely kingfisher a while back? 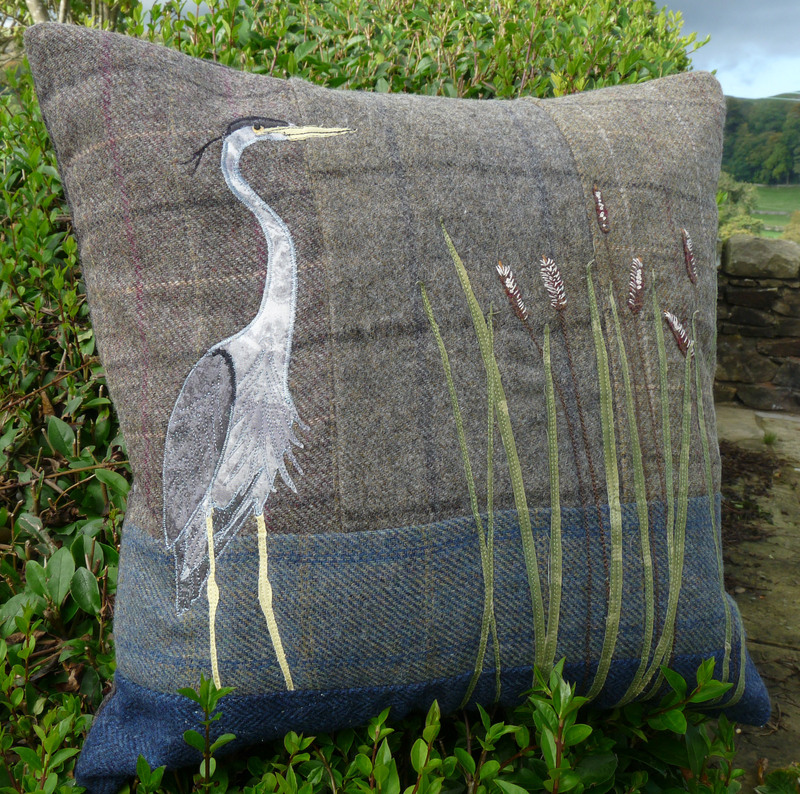 Well since then I’ve created the heron; they are made to go as a pair, which is your favourite? Last but not least here are my Doorstop Diva’s. 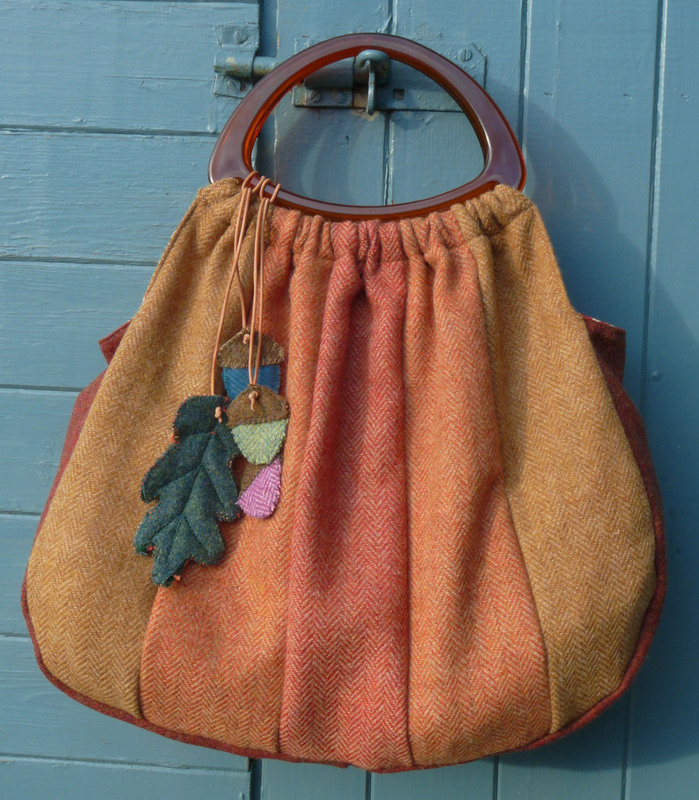 A great bit of fun that can be jazzed up with handbag jewellery, beads and bells. If you want to purchase any of the designs that I have bragged about tonight go to www.quiltingantics.co.uk and you will find these plus loads more other things as well. For your info I seem to be posting much more on Facebook than here lately; so if you don’t want to miss a thing you can ‘like’ my Facebook page and you will get all the goss’. This week on Facebook I’m doing a giveaway of tickets to Kirstie Allsopps Christmas Handmade Fair so don’t miss out. 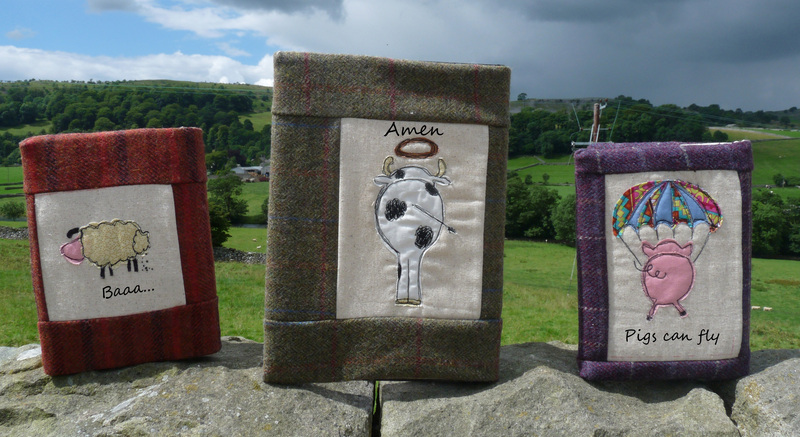 I feel like I’ve been working on these gorgeous tweed book covers for ages, I adore them. 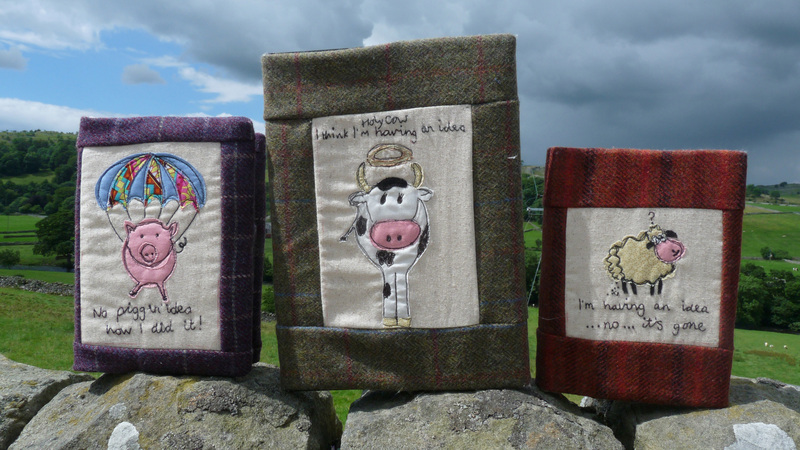 they are really tactile and would make fab presents. I need one for my diary, I need one for my notebook, my reading books, my cookbooks and so on and so on and so on. look at the cheeky panel on the back! 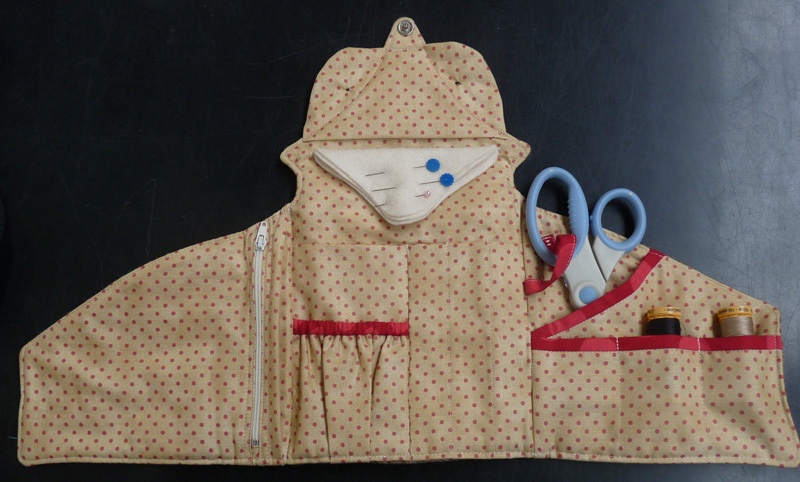 They are a really good way of practising your free machine skills, I began by being a wimp and sewing using matching thread but as I got more confident I went over the top with black thread which absolutely brought the designs to life. As a bonus, I found, particularly with the Holly Cow where I was a bit too scruffy on the edges I could colour in a black patch and hide it. If you don’t like free machining you could quite easily blanket or zig zag the applique. I am really pleased with my handiwork if you want to have a go, either comment on here or ring the shop on 01729 824708 and we will be pleased to sort you out. Oh my golly gosh! I collected this amazing advent calendar from Michaela Smith yesterday; she is going to teach it as a class for us on the 5th of September which is the first Saturday of the month. 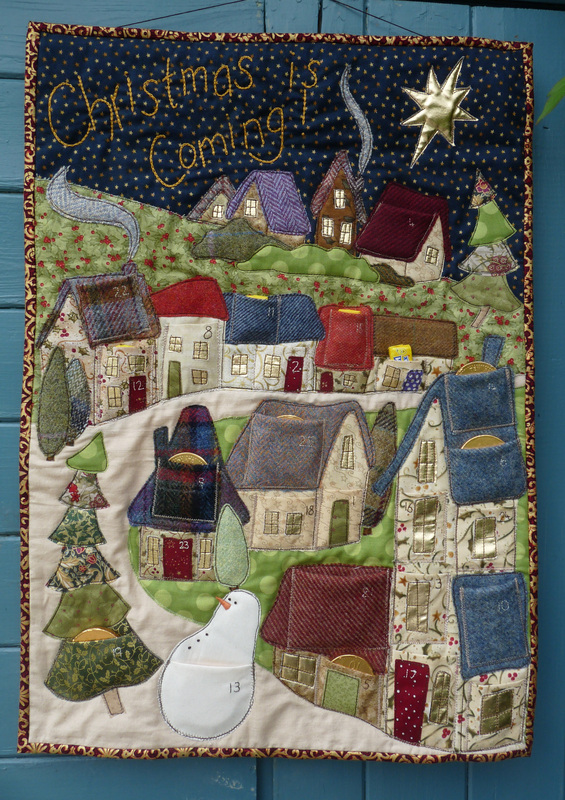 The calendar is made from a combination of cotton and tweed fabrics with a bit of Christmas bling in the form of gold on the windows. I was messing around this afternoon and I rustled up these swish and stylish tablet and phone cases which have a ribbon mechanism inside so that you can easily draw your device out of the case . 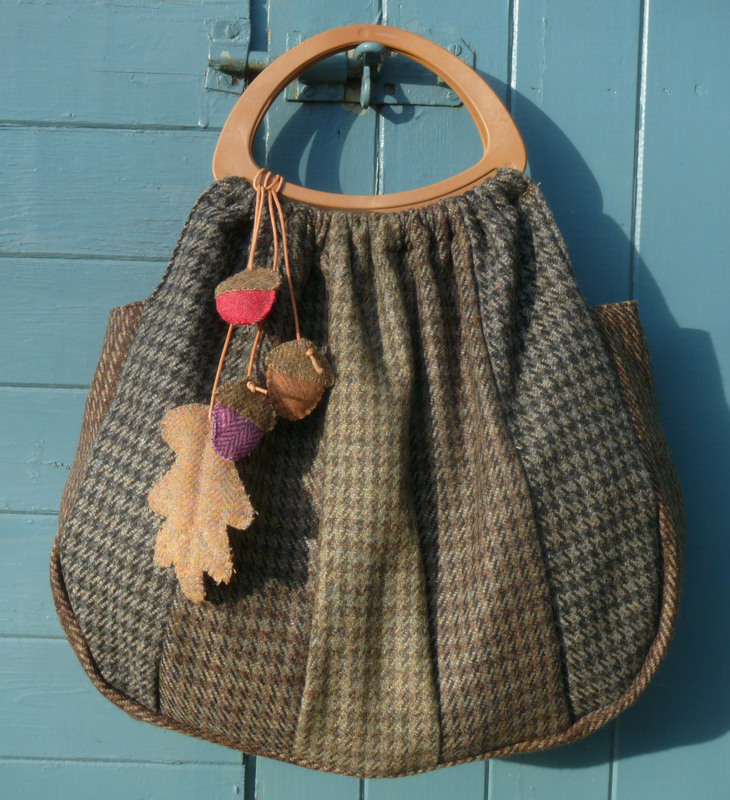 Beautiful soft tweed inside and out, means for those of us who are fabric strokers they are a real must have. I can’t take my hands off mine; I’m so pleased with them and they only took just over an hour to make. 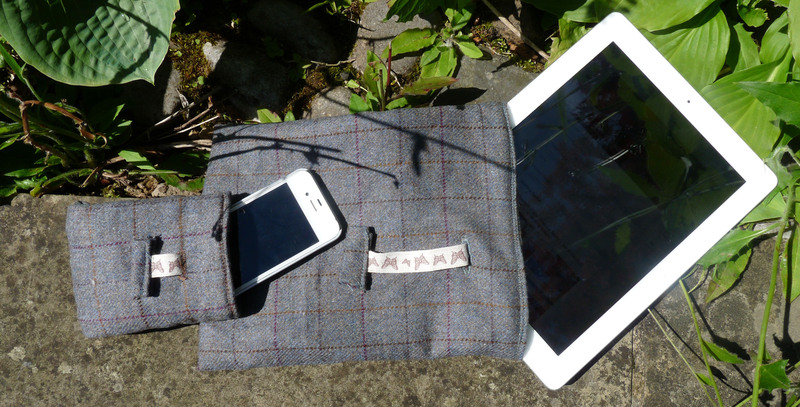 I’ve written instructions to accompany kits which tell you how to make a case exactly the right size for your own device, the kits which contain everything you need, work out at £15.50 for the tablet case and £9.50 for the phone case. If you want one give us a ring on 01729 824708 or leave a message on here, we have loads of colours to choose from.